This post is to plug my new book which is not about the cinema but it does contain a reference to Kenneth Anger’s Eaux d’artifice. An illustrated essay about the Italian hill-town of Tivoli near Rome, famous for its 16th-century garden and fountains at the Villa d’Este. But Tivoli is also the place of the Parco Villa Gregoriana, a natural park graced by a round temple on a cliff that has inspired artists for centuries. Nearby too is Hadrian’s villa, the grandest of its kind in the Roman world. These three places have exerted an enormous influence on European garden design, most notably in England. The town is a storehouse of history and culture, and tens of thousands of people go there each year. What visitors have lacked until now is a detailed guide in English to the place and its gardens; A TIVOLI COMPANION aims to provide it. It weaves together history, literature and visual aesthetics to create new insights into the extraordinary richness of culture in one place in the Italian peninsula. Anger made Eaux d’artifice ( i.e. 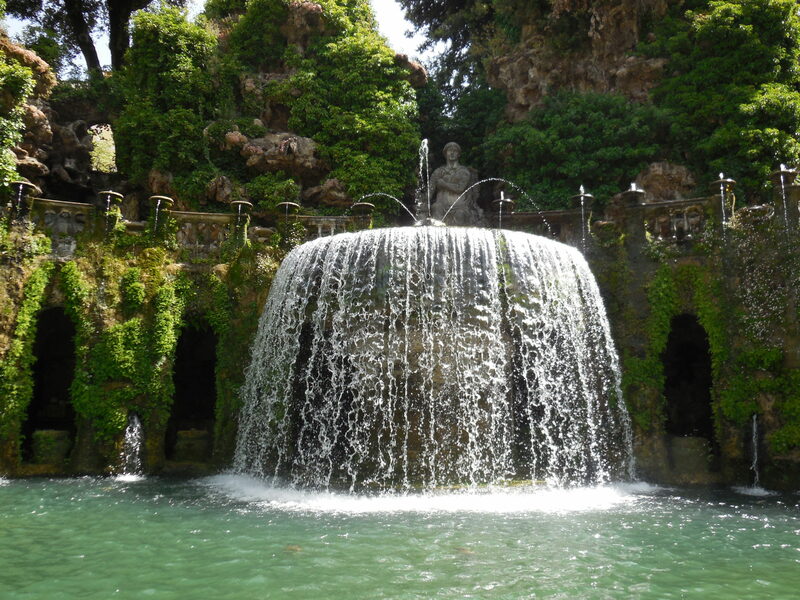 waterworks) in 1953 at the gardens of the Villa d’Este, a superlative creation out of stone, trees and above all water. Shown below is the Fontana dell’ Ovato and, on the right, Anger’s view of it. 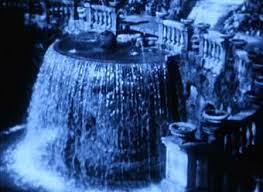 The film is blue and white, the blue being created by a filter of some sort, a day for night process that magically enhances the place.